Yeay! It's time for the UNBOXING!! I know you guys will be soooo curious like "where did chu' get that from?!". 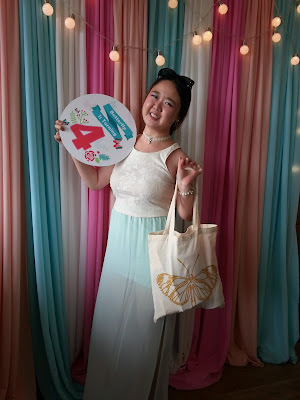 You can read all about it in my previous post on the The Butterfly Project Malaysia's 4th Birthday party here. In today's topic, I will revealing what is in THE BIRTHDAY BAG with some mini reviews! Seriously, I am as excited as you are (eventhough I can't make huge facial expression in this face mask that I am currently having on) and if you have laid your hands on some of the products, let me know your thoughts as well! Btw, the upcoming review pictures are taken with borrowed iPhone 6S plus. Now I can relate on why people say they take beautiful pictures oo(>A< ) Need to save up for better quality shots. The first one is none other than the Unicorn Eye Makeup Brushes. I have been eyeing this set for ages but have been postponing it due to internal judgement between "I need THAT!!" while another internal voice goes "But you already have 3 sets of makeup brushes!" FML. As you can see, there are a total of 10 eye brushes in this makeup set and each of them is unique in it's own functionality and color. The brushes are absolute light-weight and bristle are super soft. I have not experience any fall out bristle since the day I started using them. No unicorns are harmed in the makeup brushes production and you can find them at Wanderlustthings.com at only RM89.00! Of course, they have other magical stuffs available for selection as well, for instance the Mermaid Tail blanket, Harry Potter Wand Eye Makeup Brushes and the Cupcake Handbag. Just too adorable "o(>A<)o"
I have not heard of Orchid Cosmetics before but if DaintyDashBeauty goes fangirling over these Matte Suede, they must be good XD I just got to know not long ago that this is a Halal beauty brand created by a local blogger, so more of the reason to support! These liquid lipsticks comes in 4 tones (Left to Right: Turnt, Mars, Vibes and Blush) and have this creamy light texture at the same time. And yes, they are in my favourite matte! If I need another reason to fall for them, it's would be the pigmentation and smudge-aka-transfer proof formula. No more "oops" kiss stains or "excuse me" washroom moments to touch up. They are available at RM39 each and use this code "ORKID5" at checkout to enjoy RM5 off ** Valid till 30th June 2017. Thank you Kracie for this Hadabisei Face Mask! I have tried one so far (too many stocking up of facemask at home :P) and it has so much of serum in it! Containing hyaluronic acid and royal jelly for dry skin type, this extra serum moisturising skin mask delivers hydration to deep layers of the skin. These are valued RM48.70 (for 5 pieces). Keeping hydration is the vital step in having spotless skin. With Clinelle PureSwiss Hydracalm Sleeping Mask (60mls - RM75.90), this mask keeps the skin cool and hydrated by forming a layer of water that gives instant hydration. I have never tried any sleeping mask that gets absorped so fast into the skin and instantly fell in love with it, which makes sense why the Clinelle PureSwiss Hydracalm Sleeping Mask is one of the best seller. It also contains lavender, lemon, citrus and chamomile extract which is beneficial in keeping calm and getting a better sleep. And hail to the slimmer silhouette. Clinelle Hot Body Shapper Cream (170mls at RM89.90) comes equipped with metal roller balls to massage away unsightly cellulites. The 3x Super Strength cream is rich in natural active ingredients derived from Organic Brown Algae extracts, that not only trims body shape but also functions as melano-minimizer for fairer skin. Although it contains formula of SenseHot thermal action that warms up the skin for faster absorption of active ingredient, I personally do not feel any heat besides having my limbs sensitized from all the rollings XD. However, I am looking very much forward to less visible cellulites. The Pax Moly Aloe Vera Soothing Gel will certainly guarantee a "Chok Chok" skin for a very long time as it comes in a very large tub. Enriched with Aloe Vera from Jeju Island, beneficial vitamins and amino acids extracted from plants, this soothing gel is suitable to be applied on whole body providing hydration without leaving any gressy residue. It can also be mixed with cosmetic products to boost the moisture that your skin needs and most importantly, No paraben, no artificial coloring and no benzophenone! Muslim friends will be glad to know Neesya's porducts are all Halal patent. The Mamonde Long Lasting Liquid Eyeliner (4mls - RM39) comes in No.1 Black, perfect for winged cat eyes. Perfectly smudge-proof after drying (I placed heavy enphasize in making sure my eye products are tear-proof), this eyeliner will hold through your date regardless rain or shine. Mamonde is also now available on 11street! It's 1028 Big Eyes Magnifier Mascara! I had the chance to try out this mascara before the birthday party and I must say this one should be on every girls' mascara list. Although it is of liquid mascara (meaning it can mess your makeup a little until it dries completely), it is completely waterproof and tear-proof! The light formula also allows full coating of each lashes without weighting them down. Want to see the magnified effect from this mascara? Stay close to my Youtube channel for a makeup tutorial next week! Valued at RM59.90, it is now available at selected Watsons outlet. The next holy grail from the bag would be the Pocket Shadow Palatte Blooming by W.Lab! Definitely on my restock list ! So glad to have Dolly Wink in the birthday bag! I did a review on Dolly Wink Liquid Eyeliner in Deep Black by Koji back then and it is still my favorite eyeliner due to it's long lasting and dark pigmentation that does not fade easily with sweat, water, tear and sebum. You can read up the review here. I have created photobooks in the past from different apps and by far, Photobook Malaysia creates one of the best photobooks. By comparing the books from different websites, the reason why I prefer Photobook Malaysia's over other brands because the build material is sturdier with thicker pages and good quality finishing (I always keep mine to matte lamination) at a reasonable price. The bookmaking software is easy to manuever around even for beginners, with wide collection of ready-made book templates that suits every occasions. Thank you Photobook Malaysia giving us the chance in keeping memories in the form of photos and photobook. 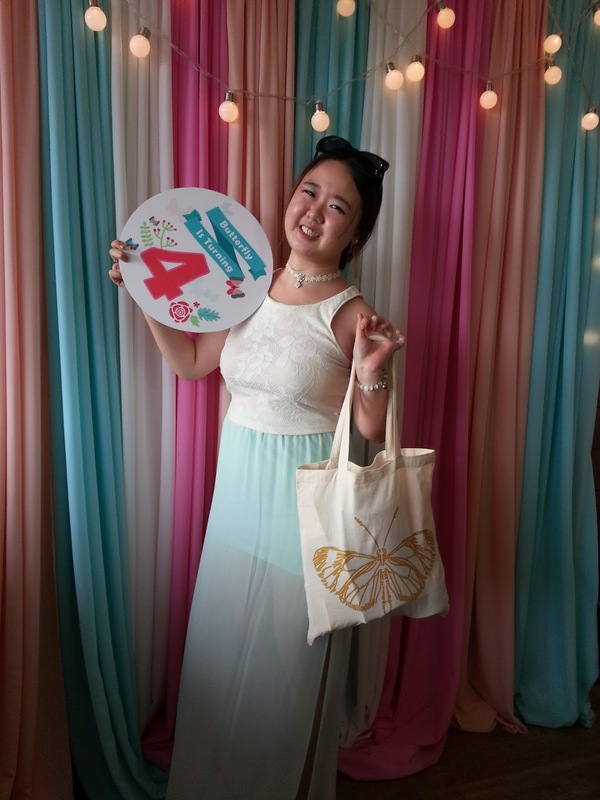 Last but not least, a big thank you to Glitz & Glam Studio Booth for providing us such beautiful backdrop and the Photobox prints in capturing of Butterfly Projects's 4th birthday event at it's best. The lighting is just too perfect (you should see how flawless our skin became) and we had fun with the creative interactive props. Butterfly 4 birthday! I hope to attend next year butterfly birthday event! 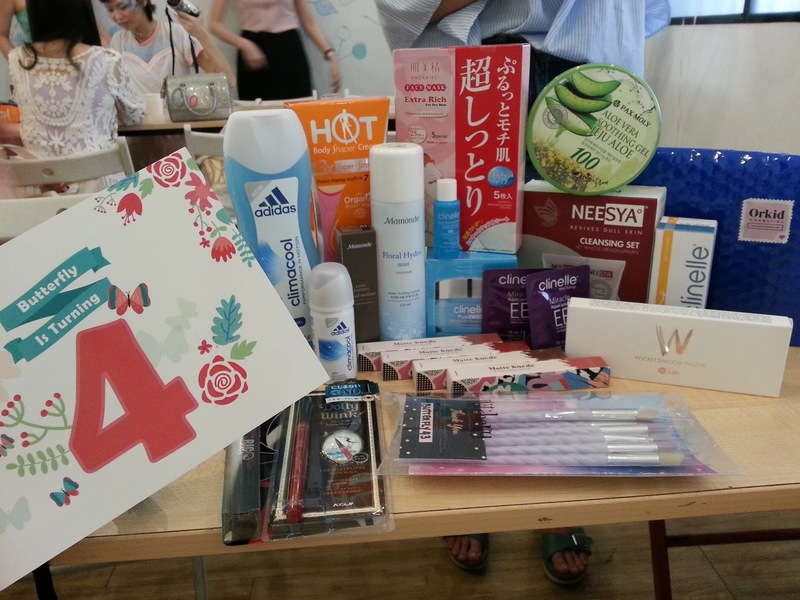 Oh my, what a super generous beauty box! I can't choose what I really want, I love all the items you had!! And your shots don't look like handphone photos. Good lighting changes everything <3 I love them too! [SHOPPING] Mamonde Malaysia is Now on 11Street! [EVENT] The Butterfly Project's Turns 4 Party!